In a large soup pot, bring broth to a rolling boil. 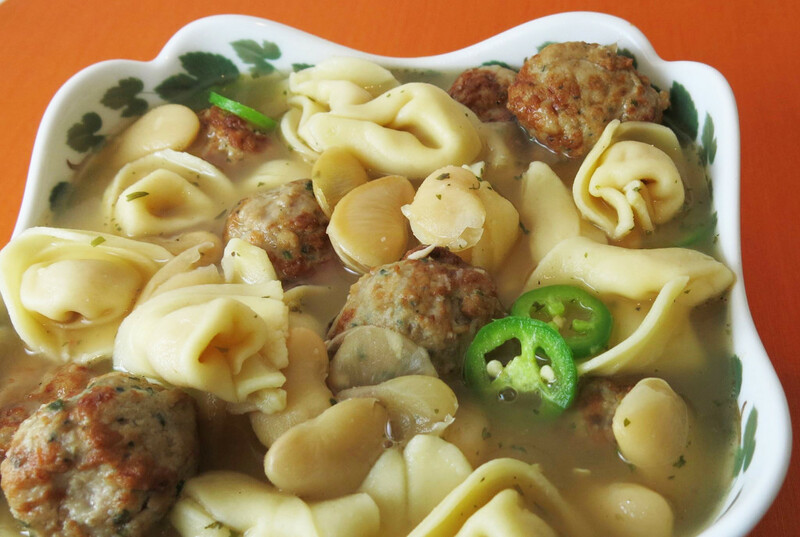 Add Serrano pepper to broth along with tortellini and meatballs; simmer (low boil) for 10 minutes. Stir in Margaret Holmes Seasoned Butter Beans and herbs; simmer for 10 minutes more (do not let boil). Divide between 4 warmed soup bowls with crackers of your choice; if desired.